SAHRA is within the neighbourhood known as Bedford Park-Nortown. It is an affluent neighbourhood located south of the 401, north of Lawrence set between Bathurst to Avenue Rd/Yonge Street. 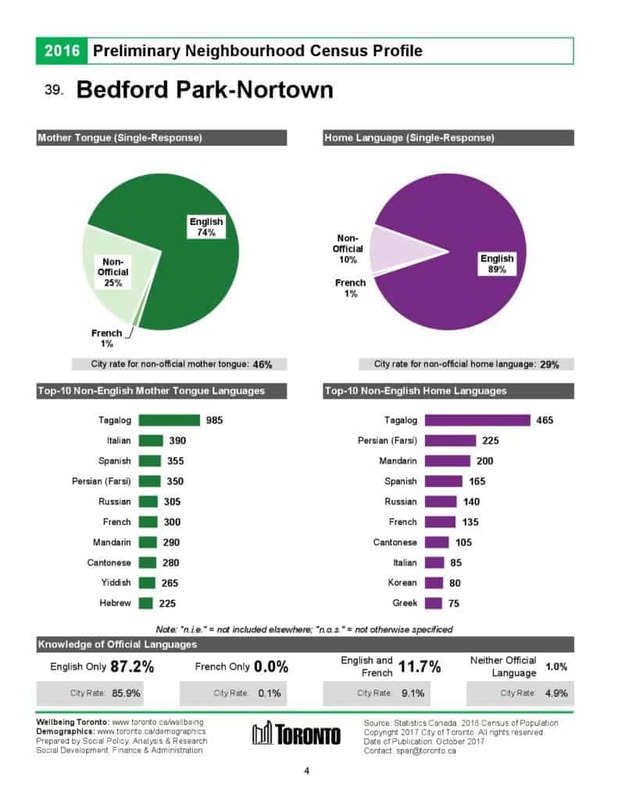 Bedford Park-Nortown is a very family friendly environment. 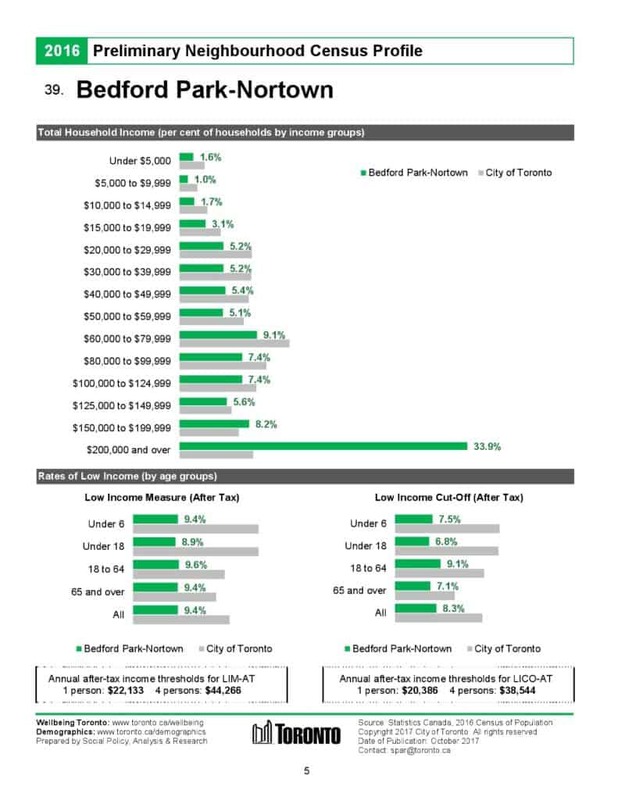 There are park spaces, community centres, access to good public, private and separate schools, excellent shopping, restaurants, TTC accessible and close to major highway routes. Most of the homes were established between 1890 and 1950. The community began as a farming hamlet, a place where farmers could stop during their travels from farm to market. There is a mix of detached and semi-detached homes; many of the smaller original homes have been recently renovated and replaced by larger custom designs. The lot sizes are generous, the neighbours keep their properties well kept and the community has an abundance of excellent amenities. 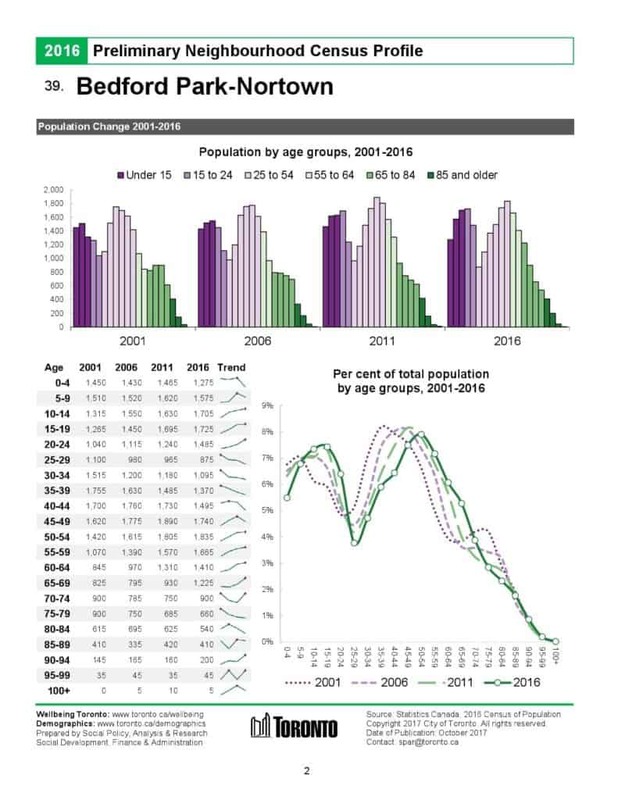 Although house prices tend to be high; there is a high demand to move in. Schools: John Wanless (PS), Blessed Sacrament (CS), Bedford Park (PS), Glenview Senior (PS), Lawrence Park Collegiate Institute (PHS), Havergal College (P), Toronto French School (P), Bannockburn School (P), Armour Heights Public School (PS), Ledbury Park Elementary and Middle School (PS), St. Margaret Catholic School (CS) and Loretto Abbey Catholic Secondary School (CSHS). 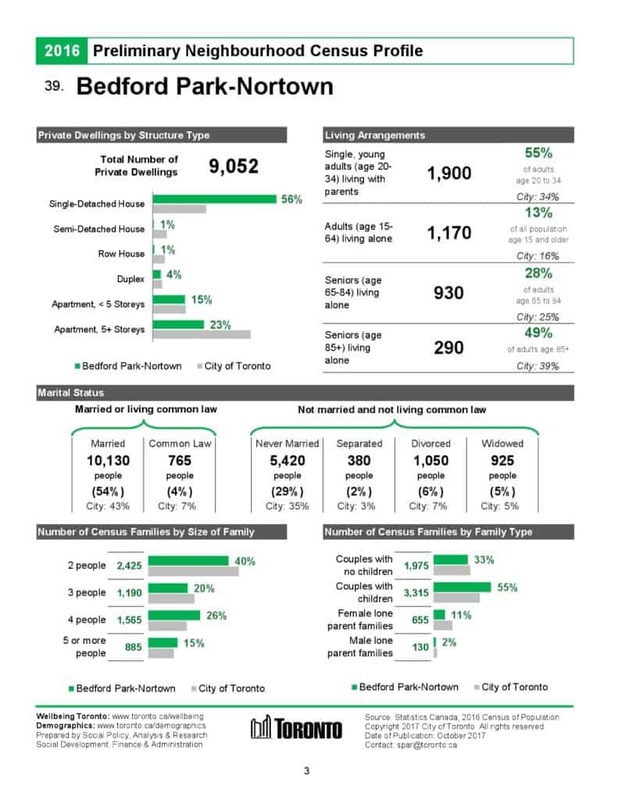 Green Spaces: Ledbury Park, Brookdale Park, the Toronto Cricket Club and the Don Valley Golf Course. Community Centres: Armour Heights Community Centre and Ledbury Park Community Centre. Exits to Highway 401 include Yonge, Avenue and Bathurst, while public transit options include the York Mills subway station and bus lines along Yonge, Bathurst, Avenue, Eglinton, Lawrence and Wilson Avenue. 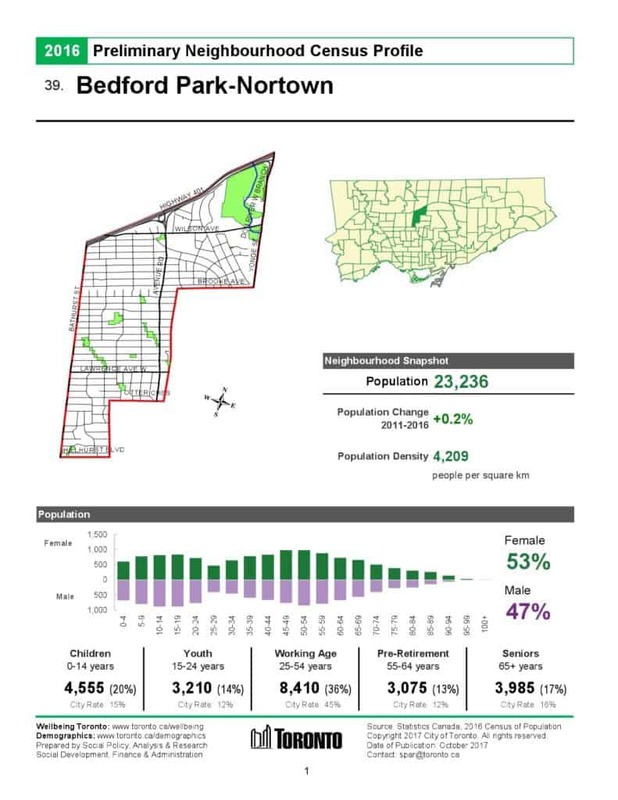 2016 Preliminary Neighbourhood Census Profile data prepared by the City of Toronto for Bedford Park-Nortown provides some interesting facts and figures.